You, your teen, and your provider should discuss whether antidepressant medicine might help your teen. 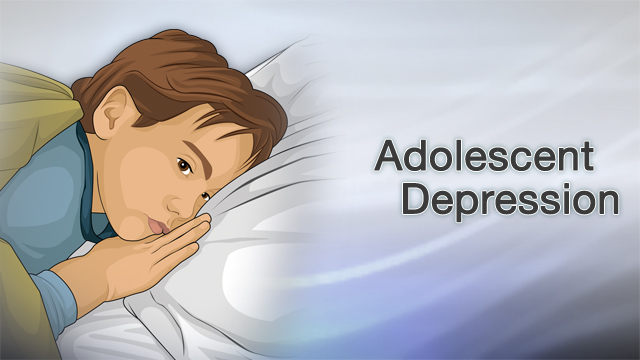 Medicine is more important if your teen is severely depressed. In these cases, talk therapy alone won't be effective. Another type of antidepressants, called tricyclics, is not approved for use in teens. You give it time to work. Finding the right drug and dose can take time. It could take 4 to 6 weeks to get to full effect. A psychiatrist, or other medical doctor, who treats depression in teens is watching for side effects. National Institute of Mental Health. Antidepressant medications for children and adolescents: information for parents and caregivers. NIMH.NIH.gov Web site. www.nimh.nih.gov/health/topics/child-and-adolescent-mental-health/antidepressant-medications-for-children-and-adolescents-information-for-parents-and-caregivers.shtml. Accessed December 15, 2016. Siu AL; US Preventive Services Task Force. Screening for depression in children and adolescents: U.S. Preventive Services Task Force recommendation statement. Ann Intern Med. 2016;164(5):360-366. PMID: 26858097 www.ncbi.nlm.nih.gov/pubmed/26858097. Reviewed By: Fred K. Berger, MD, addiction and forensic psychiatrist, Scripps Memorial Hospital, La Jolla, CA. Also reviewed by David Zieve, MD, MHA, Medical Director, Brenda Conaway, Editorial Director, and the A.D.A.M. Editorial team. Editorial update 06/28/2017.